Who else loves watching Simpsons?! 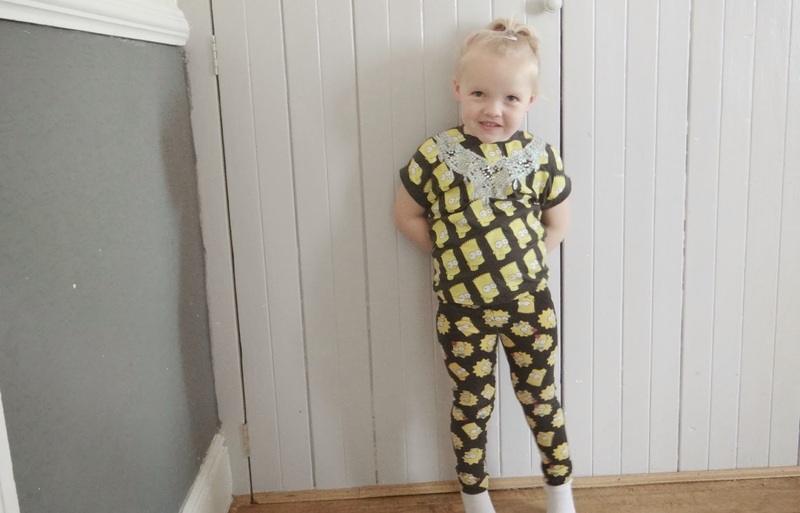 I love this outfit i bought the girls a while back, in the ASDA sale. The top has pictures of Bart's face with a bit of bling! The leggings have Bart, Lisa and Maggie's faces. At first i thought they weren't going to match, because the top is a dark grey and the leggings are black but they both look ok together! This has been my favourite outfit this week. That's so cute, it's really bold! Looks like she loves it! Have a lovely weekend!